Because what's better than a real insider's perspective? 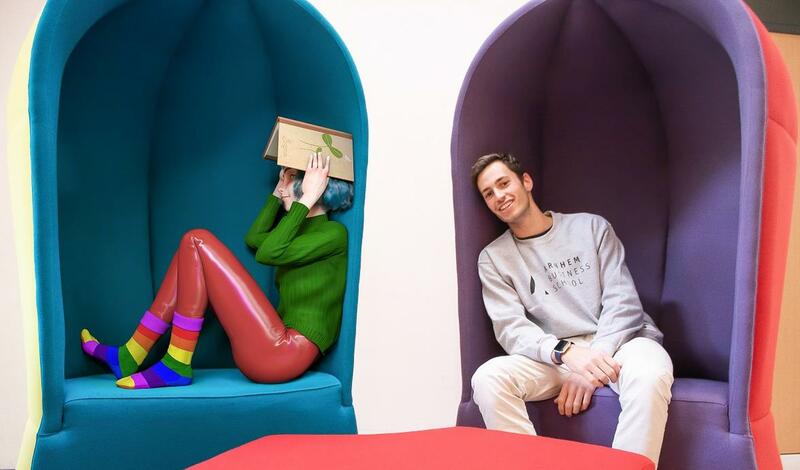 Let's experience the vibe of Arnhem Business School, HAN University of Applied Sciences through the eyes of their current student, Tommaso Mondovì. Are you ready? After high school, I was really confused about my college path and I wanted to major in so many different fields completely unrelated with each other, ranging from International Relations, to Mathematics, to Managerial Engineering and Psychology. Since it was rather difficult figuring out a faculty which would have suited me the most, I decided to look for something that put together all of these different subjects. International Business and Management Studies is the faculty that best puts together all of these different interests of mine. Mathematics is surely involved when thinking of subjects such as logistics and finance. Psychology comes into place while studying marketing and consumer behavior, and International Relations pops up in every international related aspect of my studies. Furthermore, this faculty allows me to pursue my final goal in life of becoming a manager in an international setting and additionally it gives me the opportunity to range over many different potential master programs and professional careers. I encountered many difficulties while applying to a University in Germany for the conversion of my High School Diploma. In Italy, our diplomas are given to us six months after we graduate from high school, and before then there is only the possibility to request a certificate which shows your final grade and the subjects you have taken in your final exam. However, some universities trust the fact that they will receive the actual diploma in December of the first year, whereas other ones simply do not let you apply. In Germany, I definitely struggled with this aspect, however in my current university in the Netherlands I did not face any major challenge. The application process was quite easy and it was done through a platform called Studielink, where everything was very clear and straightforward. Moreover, I happened to already have all of the certificates required from my university, hence I did not need to take any last-minute exams. 3. Why did you choose the HAN University of Applied Sciences as your destination? After not being able to successfully complete my application process at the Leuphana University in Germany, I looked at other universities around Europe which offered the same course of International Business and Management. The HAN University not only offered the exact course I was looking for taught entirely in English, but it also offered great experiences such as a mandatory study-abroad program in the third year and a placement abroad for an internship also in the third year. Also, the HAN University is located in the Netherlands, a country I have always loved for its beautiful cities and the open-mindedness of the majority of its inhabitants. 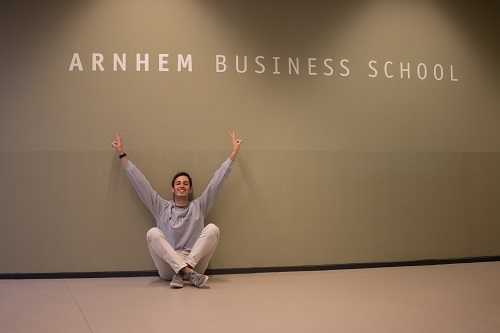 Moreover, I was really willing to study in an international environment, and almost 50% of the students studying at Arnhem Business School (a branch from the HAN University) comes from outside the Netherlands. The HAN University offers accommodation in its brand-new facilities to every student coming from outside the European Union. Other students coming from the EU can still apply for housing through the University, however they are not guaranteed a place there. A recommendation I could give concerning this aspect would be to apply as early as possible to increase the chances of having a spot in the buildings from the HAN. Students can though still find a place by themselves in shared apartments or in studios. In Arnhem, which is a medium-sized city and not oversaturated with students, finding your own place is not extremely challenging. 5. What do you like the most about HAN University of Applied Sciences? I really like the facilities at my universities and the opportunities which it offers. 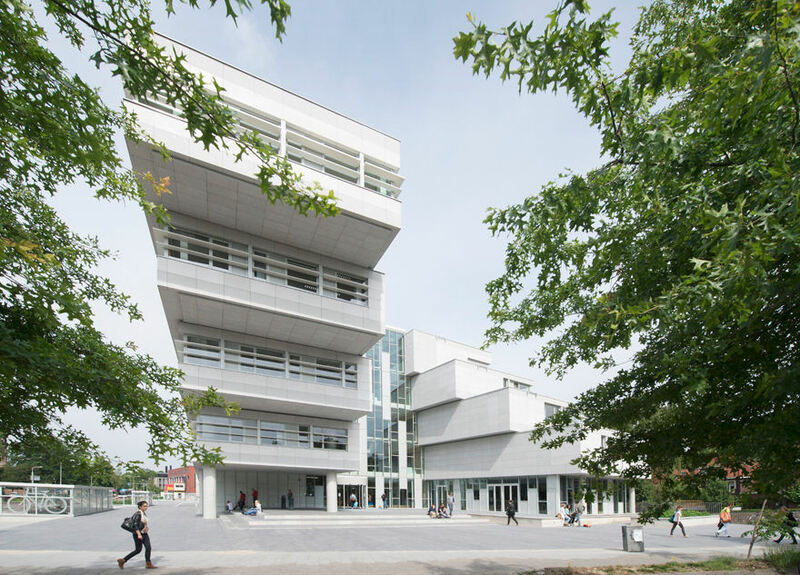 Everything at the HAN looks completely new and modern and it allows students to participate in several different activities. For example, it offers the possibility to work on campus or to represent the school during the open days. It also offers the opportunity to create your own club and to participate in other people’s clubs. 6. Describe the vibe of Arnhem, Netherlands. Arnhem is a very nice city located near the German border close to the Dutch city Nijmegen and to the German city Düsseldorf. It has a relatively small center which is very cute, especially during winter time when it’s decorated with beautiful lights, and during spring, when there are a plethora of people sitting outside of nice cafes enjoying the sunnier weather. 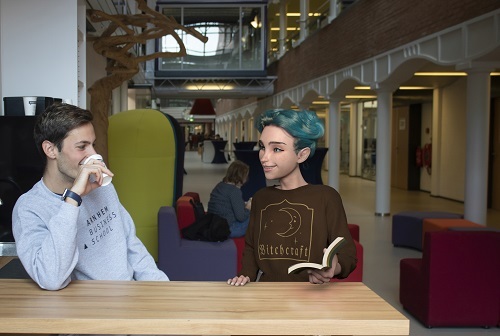 Although it is not overpopulated with students, there are still three Hogeschools here, so there are many different things to do for students. Also, at night, especially on Thursdays, it is very lively. 7. How tolerant is Arnhem and the Netherlands in general regarding age, race, and gender? My city is surely very tolerant concerning age, race and gender. It is a rather common characteristic of the Dutch mentality to be extremely open-minded and to not create distinctions among people. Nevertheless, these aspects also do vary from person to person, but the overall mentality is very positive. 8. What do you usually do to have fun in your student city? There are many fun activities in Arnhem for students. Some of my favorites are: spending entire afternoons at the Sonsbeek park, a beautiful park located in the city center of Arnhem; going to the movie theater here, which is one of the biggest in this area of the Netherlands; going out for a coffee or for a drink in the extremely nice cafes around the city; practicing sports thanks to my Student Sport Card, which only costs 17€ a month and it gives students access to almost every gym and swimming pool around Arnhem; going out at night to dance or to grab a couple of drinks. 9. Describe the commute to school. Do you have to commute a lot to go to school? I have always loved walking to school. I walk to school since I was six years old, and even now I have the possibility to walk to university. My current apartment is located only a few hundred meters away from the HAN and it only takes me around 15 minutes of a beautiful walk across the park to arrive there. 10. Tell us the most memorable experience you have in your college life. Last June, at the end of the academic year, a student association within my university organized a formal boat gala. That was definitely the greatest experience of my college life so far because it allowed me to see everyone again before I left for the summer break and to close the academic year on such a positive note. Also, the gala took place on a boat, which made it extremely exciting because we were all dancing outside, watching a beautiful sunset from a boat moving along the Rijn. 11. What do you think your university can improve? Actually, there is not much that I think my University should improve. The only aspects I can think of concern schedules and prices. Prices at the canteen or at the school shop are quite unaffordable for students who live on a budget. Additionally, schedules and timetables here at the HAN are confusing and inconsistent. The timetables change every single week, which makes it harder to organize activities on the side or work. 12. On a scale of 1 to 10, how likely is it you would recommend the HAN University to Ruby's followers? 13. Anything you want to say to Ruby’s followers? Choosing the right university is an incredibly big decision which can lead to a lot of stress. My recommendation is not to stress out too much about it, do your research and fill in your application during a long period of time and just enjoy the process! Thanks, Tommaso. See you next time!